Russo Brothers shed light on how Deadpool would fit into an Avengers movie. Although the hype currently surrounding Avengers: Endgame is crazier than it has ever been to any movie, you could argue the biggest Marvel event is, in fact, the Disney/Fox merger. This deal has opened the floodgates for a whole host of new characters joining the MCU. While X-Men and Fantastic Four are set to be recast, one superhero who survived the Disney/Fox deal is none other than Deadpool. Ryan Reynolds looks set to complete the transition intact. This brings a big question - how exactly could Wade Wilson fit into the Marvel Cinematic Universe? 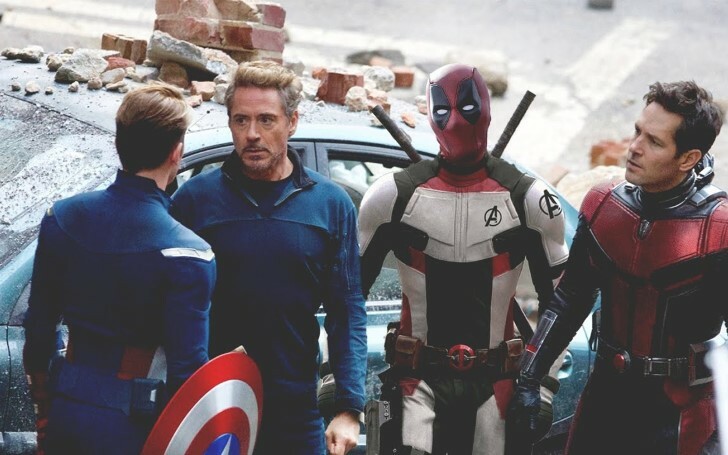 During a recent interview with Endgame co-directors Russo Brothers, Anthony, and Joe, Fox 5 asked the pair of them how would Deadpool fit into an Avengers movie. "I would tell you this, and this is how we craft all of these moments, we would literally lock ourselves in a room for two months and discuss this question before we could arrive at an answer." Anthony then talked about some of the factors they need to take care of while handling Deadpool. "Philosophically [we’d investigate], are the new rules with the character, ‘Is he not allowed to break the fourth wall? Would that damage the character?’ So you have to figure out how you would incorporate the tone of what’s happening in the MCU with a character like that." It would definitely be strange if, for instance, one of the characters in Avengers: Infinity War kept talking to the camera and reminding viewers it's just a movie. Moreover, Marvel needs to consider whether Wade can be as violent and foul-mouthed when he's sharing the screen with the PG-13 players of the MCU. As for the solo Deadpool movies, thankfully things won't change much. Earlier this year, Disney CEO Bob Iger claimed Deadpool standalone will continue to be R-rated. While it remains to be seen when exactly Merc with a Mouth hits theatres next, but in the meantime, the Russo Brothers are set to conclude the current era of MCU when Avengers: Endgame hits theatres on April 26th.